As a stand-alone presentation in reception or as background information within an event. 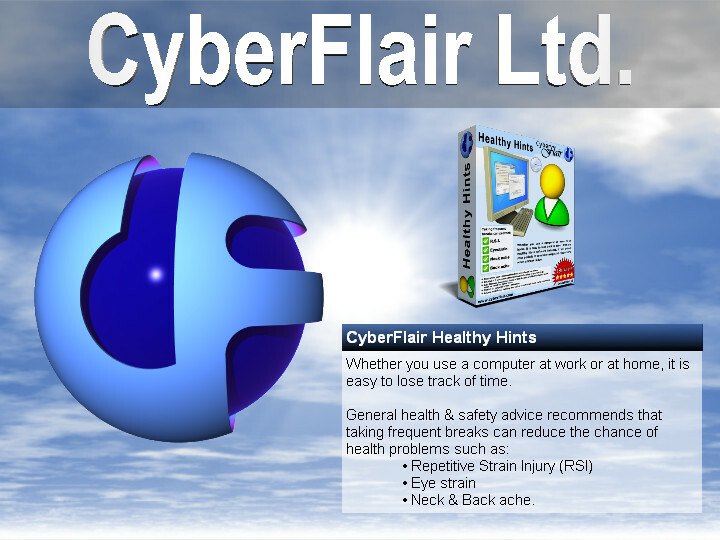 As a screen saver, promoting your services on laptops and delivering consistent messaging to employees. Create movie files for use on screens without a PC or as clips for a corporate video or DVD. You then customize the Picture & Story Albums with the series of images and associated texts that are to be cycled through. These can be managed via the 'Design' ribbon category. When you've finished these basic steps you're ready to use it as a presentation or screen saver. Alternatively you can use this as a starting point and make your own modifications, such as adding a background picture of your head office. Variants: Business, Charity, Commerce, Company, Corporate, Education, Industry, Investment, Marketing, Manufacture, Organization, Research, Retailer, Service, SMO, Trade.